Here on the Everything Summer Camp Blog site, we just can’t help but to give credit where credit is due. That’s why we’re always bragging about ourselves. But to change things up, we like to talk up some other deserving folks from time to time too. Sometimes we spotlight vendors with whom we’ve developed a connection. Other times we post about summer camps. Today, I have the one and only Camp Longhorn on which to shine our spotlight to share with you. 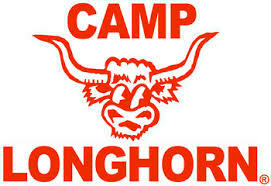 Camp Longhorn is unlike any other camp we’ve spotlighted on this Blog. It’s an old camp with old traditions. There may be only one Camp Longhorn, but it’s got three locations, all right next to each other, offering essentially the same awesome summer camp experience as the next. 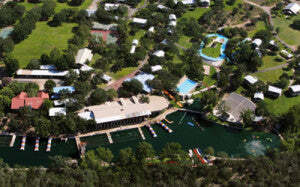 The original Camp Longhorn for boys has sat along the Colorado River in Burnet, Texas since 1939. In 1975, they expanded with a branch for girls, adding the Camp Longhorn Indian Springs nearby which sits on scenic property boasting two, private spring-fed lakes. And by next year, 2016, the third Longhorn branch, C3, open to boys AND girls, will sit beside Inks Lake, neighboring the original camp. Needless to say, these are very exciting times at Camp Longhorn. 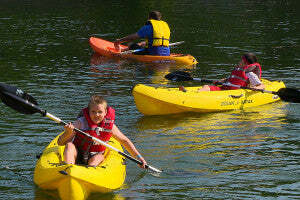 Each branch at Longhorn differs in certain ways, but each one delivers essentially the same kind of fun and challenges their campers to try things that may be new to them like Baseball, Basketball, Football, Soccer, Tennis, and Rifelry to SCUBA, Water-Skiing, Canoeing, Fishing, and Swimming. They have Rock-Climbing, a Ropes Course, a Putt-Putt Course, they offer Craft time, Wildlife Exploration, Cheer/Gym, Pickleball, and so much more! Longhorn campers—and their cabin leaders too—sleep in the open-air cabins that are more-than-accommodating. A dozen campers stay in each cabin (selected according to school age) along with two to four cabin leaders. Cabin life shapes campers into close-knit circles in a home-away-from-home where friendships are formed that’ll last a lifetime! Attawaytogo! Be sure to check out Camp Longhorn for yourself! And, as always, thanks for reading.